As much as I adore Cle de Peau for their skin care and makeup for lips and face (amazing powders, among other things), I've come to realize they're lacking in the eye makeup department. The powder eye shadows are high maintenance but workable if you have the softest Hakuhodo brushes. But the cream liner, mascara and now the limited edition cream eye shadow has left me bitterly disappointed. 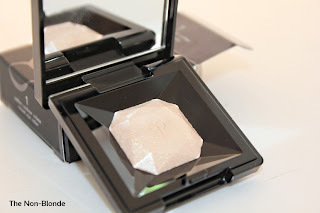 This is Cle de Peau cream eye shadow no. 1, a beautiful shimmery ivory shade that could have been a perfect highlighter under the brow and inner corner. However, the texture is stiff and almost waxy, ending in an uneven application. even worse: the "shadow" is almost completely sheer. The little pigment available is only in the tiny glitter particles. 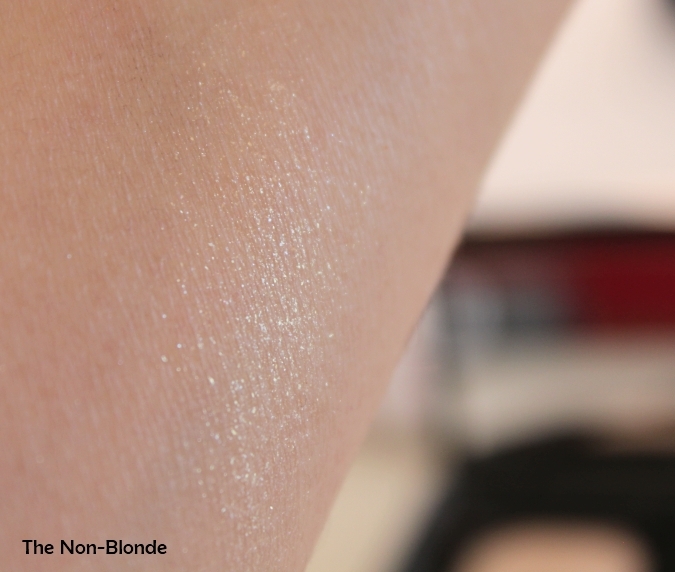 And, yes, let's call it by the right name: glitter. Overpriced and unimpressive glitter. Now, I'm not averse to adding a fine layer of killer sparkle for eye makeup for the right occasion. Sue Devitt makes an excellent product for this very purpose- her E-Z Eye roller ball is excellent for taking an evening look to the next level if that's your thing, the quality is superb and the price tag is reasonable- $18 for a product that will last you till the end of your clubbing days (and then some). 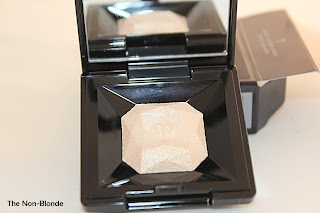 A cream eye shadow from a top-tier brand such as Cle de Peau should be made of awesome and make you look like a princess. Cle de Peau Cream Eye Shadow ($45) is available at the counters. How disappointing! I'd expect so much more from Cle de Peau. Then again, such "topcoat" products are very popular in Asian markets! Maybe that's the audience these are targeting? Once again, you are my heroine!! I have been debating of getting Cle cream eyeshadown #2 but have been hesitating due to the high price tag and the limited reviews. Such disappointment! It looks beautiful in the pan... sigh. Thanks for your review. And Happy Thanksgiving.